Ki Pro Mini is the smallest and simplest way of connecting production and post, anywhere shooting takes you. With a miniature form factor that makes for the smallest camera and recorder package available, Ki Pro Mini is powerful, supporting all four types of Apple ProRes 422 (including HQ, LT and Proxy). The newest member of the award winning Ki Pro family, Ki Pro Mini simplifies the link between production and post by unobtrusively fitting in small spaces and acquiring on the best codec for use with Apple Final Cut Studio, from any SDI or HDMI camera, regardless of format. 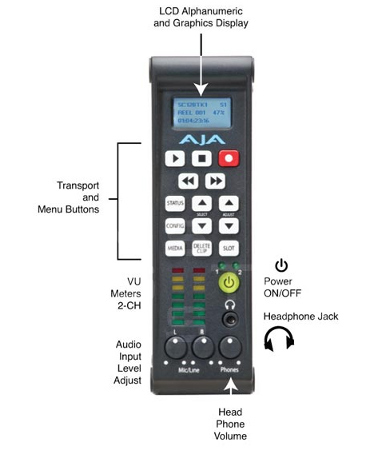 With its high quality digital connectivity, you've got the perfect solution for portable on-set digital capture. 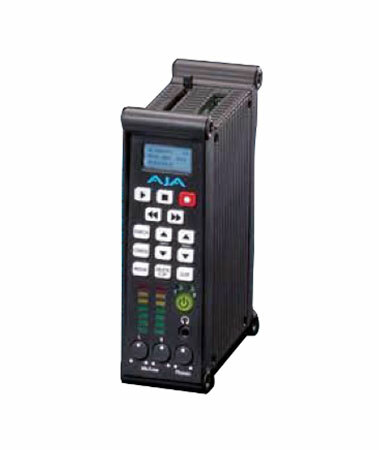 Like AJA's famous Ki Pro, KONA and Io HD desktop products, Ki Pro Mini offers unparalleled I/O quality. 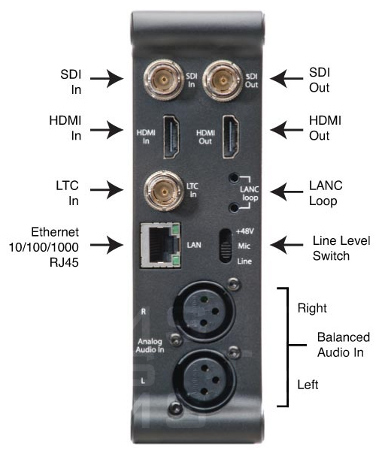 Within its portable and rugged form factor, Ki Pro Mini offers broadcast quality SD/HD digital I/O including SDI, HD-SDI and HDMI, two channels of balanced analog audio input (2 XLRs) with switch selectable line/mic levels, and LTC timecode input.